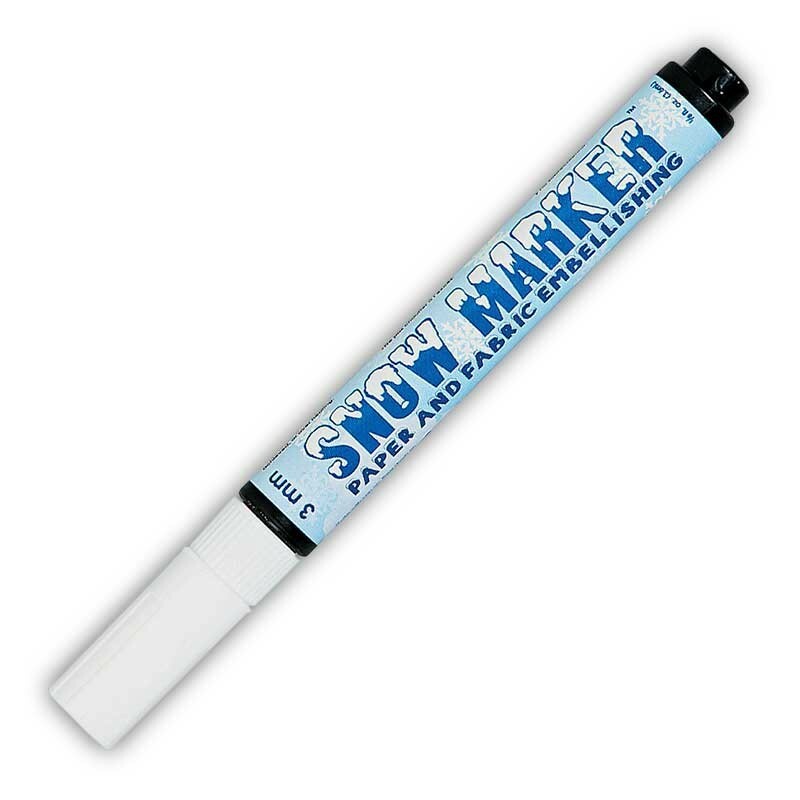 Marvy's Snow Marker pen is the only paper and fabric embellishing marker that puffs up after you heat it with a craft heating tool (hair drier not recommended). Awesome on light and dark paper and fabrics. Super easy to use, free hand or with a template.